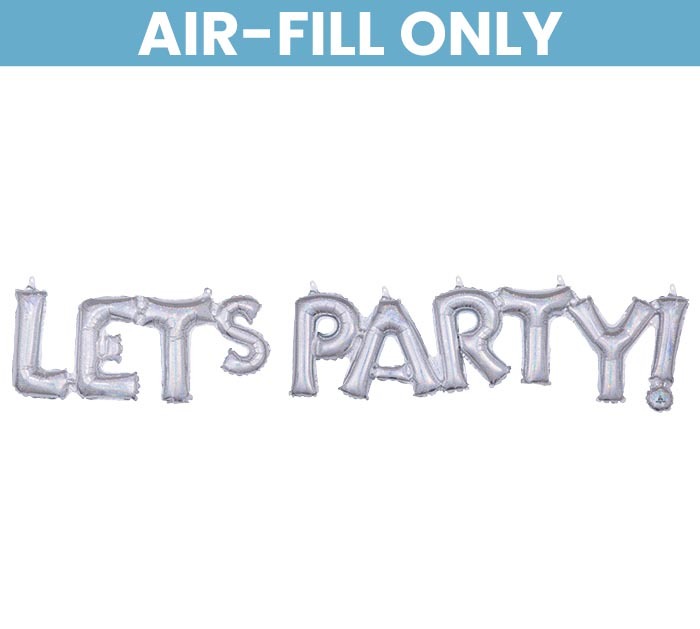 Packaged "Let's Party" block letter phrase holographic balloon that is air fill only. Each word is a separate balloon. A straw is included for consumer inflation.